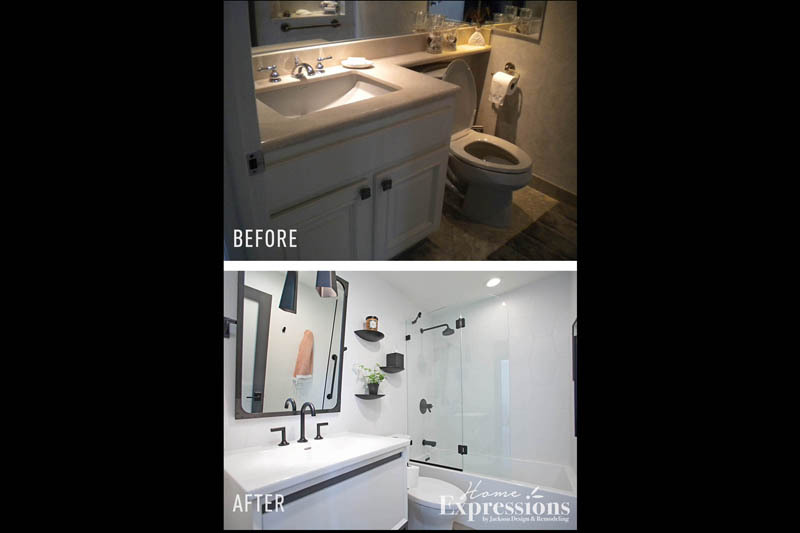 Originally a powder room, this guest bathroom was created by borrowing space from another part of the home to make possible the addition of a tub. A glass wall system with a creative rounded edge protects the room from splashing while retaining a clean, crisp profile. 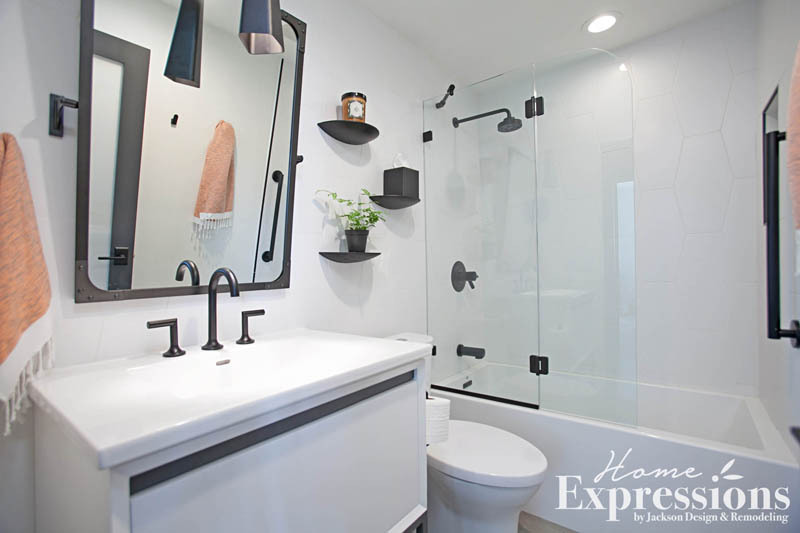 Black fixtures and accessories make a strong graphic statement surrounded by white. 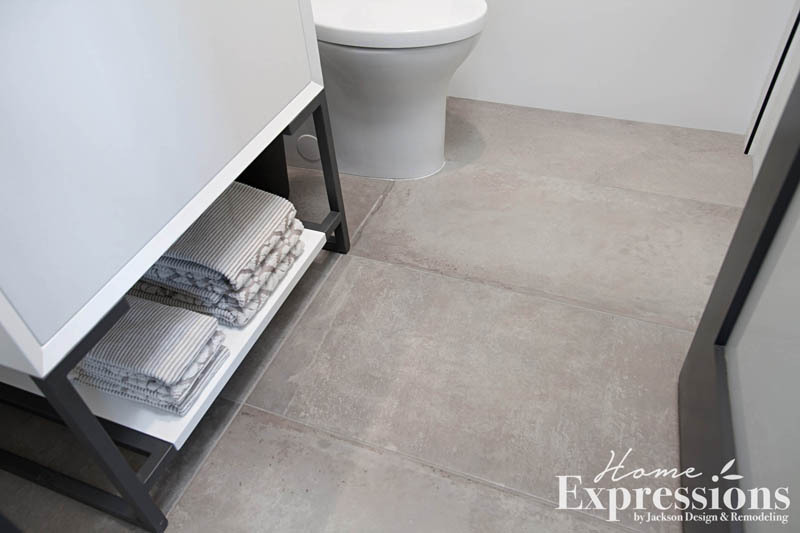 The intriguing floors are tile that has the appearance of distressed concrete, underlining the bathroom’s chic industrial attitude. 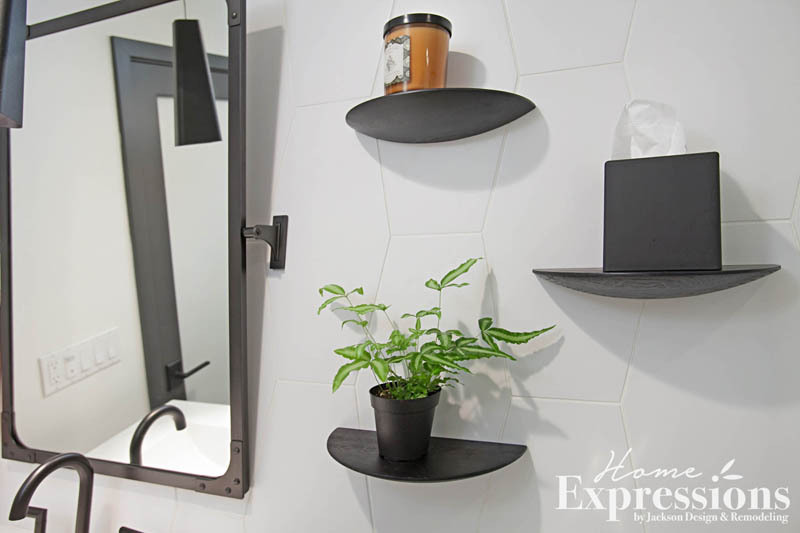 Intriguing materials and textures make this master bathroom a refreshing retreat from the ordinary. The color palette is both soothing and subtle, providing a sense of comforting ease in this elegant master bathroom. Glimmering mixed metallic elements and Moroccan-inspired patterns of blue enliven this spacious white bathroom with a luxurious shower. This master bathroom with an Asian design influence evokes elements of nature.